Rainy is pictured above finishing her UKC CH just prior to 7 mo. old! 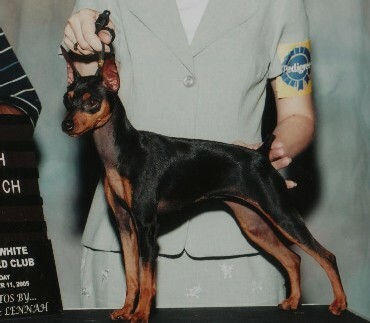 UKC CH Le Pins Slipery When Wet " Champion Class"